Do you know up from down? When you look down, your head follows, your body slumps. You can't see where you're going. You're vision narrows because you're not focusing on what's around you, only the ground at your feet. And maybe that ground is wrong. Your thoughts start to follow in the same downward direction, and eventually, you find yourself feeling lost and unhappy. But when you look up, don't you see how your eyes sparkle? Your body becomes open to receive, and suddenly, you notice all the beauty that surrounds you. There isn't just one path anymore; only infinite sky and your soul with wings. So look up more. Up is hope. Up is light. Up is happiness. beautifully written, and so so so true. this is so true and beautiful. i always appreciate pictures of myself (and everyone else) more when their eyes are open wide... when looking UP. Love this post. Definitely needed it as I continue my search to find employment in a new city. Thanks for writing! Very inspirational. We can all find so many reasons to hold our head up high! Beautiful words and thoughts....thank you for brightening my day! Thank you for this beautiful message! It made my day! Holy smokes that picture is awesome! How the world did you do that??? LoVe it Katie:) Very True! This is such a beautiful and inspirational post. I will have to bookmark it and look at it whenever I'm feeling discouraged, because it has all the right words to help get out a smile and positive attitude. Thank you! Great post! I definitely needed this reminder today. That's a cute picture, and such a great message! I used to look down when I walk a lot, but I tend not to anymore. It's good to be reminded to look up! Not gonna lie, I feel like I definitely needed to hear that today. Been having a mellow day lately...thanks for this! Beautiful, and inspiring. :) Thank you, Katie! Because of you....today I looked up. Thank you. Hey you. Thank you for this. Exactly what I needed to hear today. Today I looked up and am happier b/c of it! This was lovely and just what I needed today! Thank you Katie! Beautiful words. There may just be one person today who needs to hear them, thanks for sharing what happiness is. I LOVE this! So inspiring, just what I needed today. Thank you for sharing! Lovely post! Beautiful pic and very inspiring! love it, inspiring and a great reminder! i love how u edited the pic! I TOTALLY needed to hear that today! So true- it made my day. Thanks! What fantastic words. Another upside to looking up is it helps your posture and thus makes you look taller, full of confidence and thus more attractive! Are those your real eyelashes? SWOON! When you look up, you see stars. 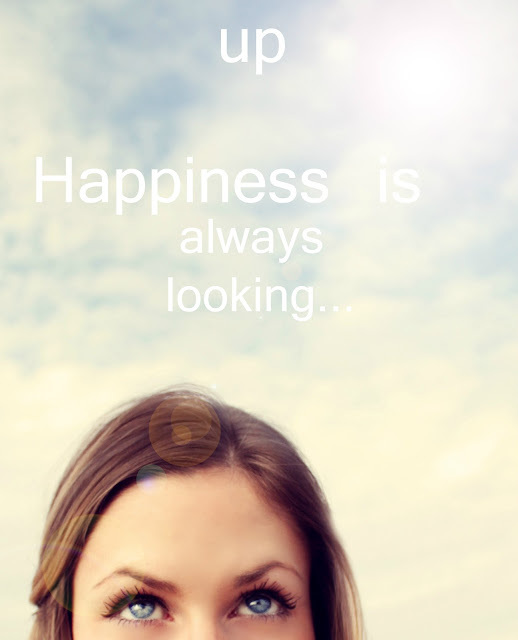 Look for twinkles, follow the winks, find your happy. Really like what you're up to here.